He’s not exaggerating – this man knows water and waves. His biography spans back to an early childhood on a Caribbean island . At the age of 5 his family moved to southern France where, as a youngster, he quickly became a champion sailor in the area of Cote d’Azur. Later he mainly switched to surfing, won a couple of contests as a nine-year-old and got discovered by a talent scout shortly after. 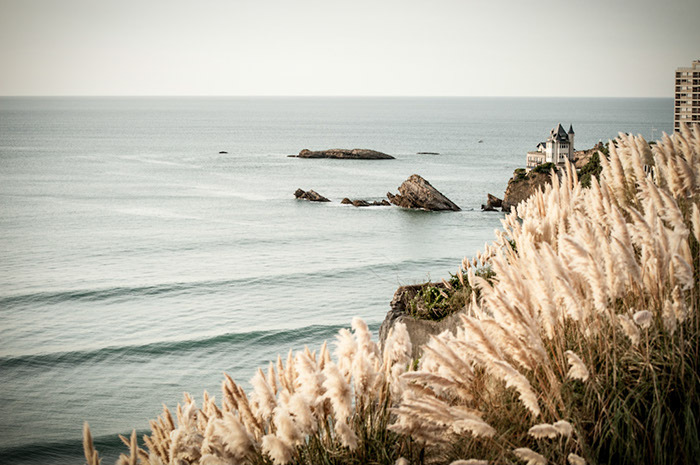 He moved to Biarritz where he attended a school where Tim would study in the morning and go surfing in the afternoon. Consequently he became first the French, later European surf champ. A biography of a really competitive guy, that’s what we thought before our encounter with the Reef Europe team rider. But seeing him in person, Tim Boal proved to be an easy-going, humble guy – he could have been some regular local in Biarritz… He has grown himself a moustache and has become less competitive these days. He seems like personified leisure, a true laid back dude.